Prof. Leszek Balcerowicz talks to Leszek Jażdżewski, Editor-in-Chief of Polish liberal quarterly magazine Liberté!. What is in your opinion, Professor Balcerowicz, the ultimate level of wealth society can achieve? The overwhelming majority of wealthy social circles want a better life. We usually want to live in nice houses, drive nice cars, some of us want to live in even better houses, drive better cars, and have access to even better healthcare. I believe the most important are those desires and longings of people that are not harmful to the others; an example of a classic liberal criterion, and not superimposed, usually collectivistic, ideas on what actually people should want. Can you actually imagine, Professor Balcerowicz, the existence of capitalism without the economic growth, or perhaps this growth is indispensable? It all depends. Let us imagine a wealthy, yet stagnant society, in which the number of people of the employment age is systematically decreasing, hence such a society never faces a problem of unemployment. It is possible, yet highly unlikely. Undoubtedly, a society can experience a long-term stagnation, not necessarily, because its majority might want it; it is more likely to occur as a consequence of wrong choices, such as electing politicians, who, while preaching laudable slogans, will, in fact, hamper the economic growth by means of limiting the competition on the market and imposing excessive fiscal charges, as it had already happened in Italy and France. 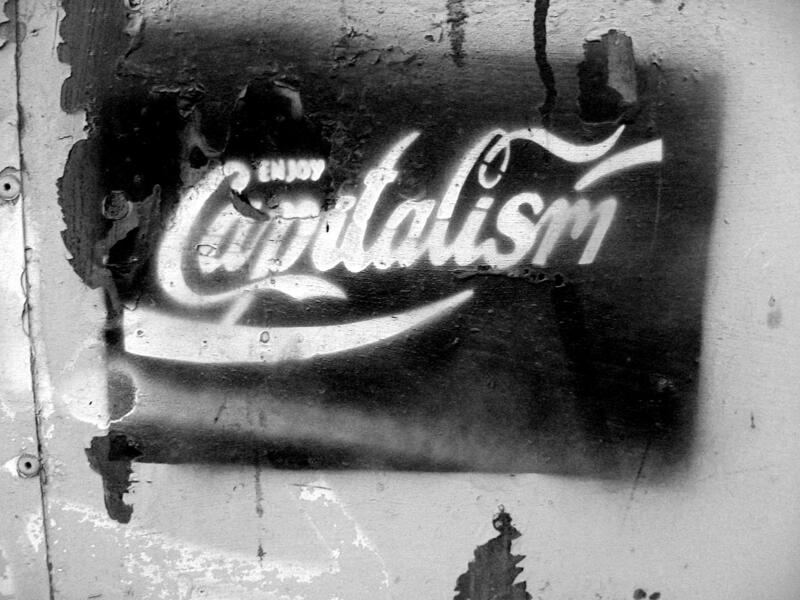 How did the face of global capitalism change within the last 25 years? Or even before that, since the underpinnings of Reaganomics had been forged, which are at least 35 years old? What has changed substantially, and absolutely unjustifiably, is the perception of the concept of capitalism. After all, just as was the case with the previous economic slumps, in the most recent crisis, adrift as we are, we are dealing with anti-market propaganda, which commonly misdiagnoses the situation. You might want to say: ‘As you can see, the free market capitalism, or perhaps capitalism as such, has failed us, therefore we need the state’s intervention.’ Empirical analysis, meaning the serious one, clearly shows that there are a few variable models on which the states intervention can be based on. Most recently we opted for interest rates of Federal Reserve Funds that are too low before the crisis, and giving concessionary loads to those who are struggling to pay them back, which is pushed forward by U.S. legislation. More serious researches, which are by no means to be considered equal to the research papers popularising anti capitalistic propaganda, list as many as over a dozen of such forms of state’s intervention. Actually I have found myself joining the panel of experts appointed by the European Union to establish the diagnosis of the causes of the crisis and create proposals of the reforms. 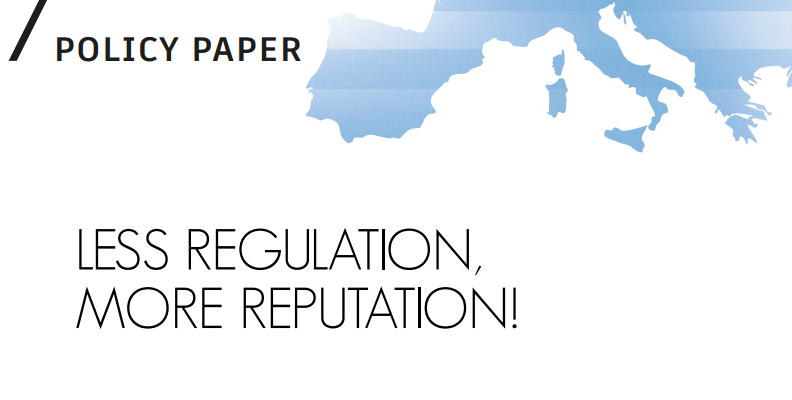 With the reference to existing researches, in de Larosière report we managed to show some examples of such interventionism, which, while deforming the demeanour of the participants in the financial market, initially contributed towards the economic boom, yet effectively lead to economic slump later. Every crisis is accompanied by the etatistic, or anti capitalistic forces, which try to take an advantage of the situation and demerit capitalism. Such was the case in the 1930s, when the whole new wave of etatism began, and please bear in mind, as very few people realise, that it was partially the New Deal programme that contributed to the deepening of the crisis at that time, and such are the circumstances today. Therefore we should take note of that no one, who takes empirical research into consideration, has ever undermined any already known precepts stating that private enterprise, as long as they perform on the competitive market, will undoubtedly operate more effectively than the state-owned companies, that competition is indispensable, or that the good legislation has to be stable, etc. Based on long-standing experience and research, none of these fundamental beliefs we had known has ever been seriously impaired. Yet propaganda is a substance of a different kind. We have to make it very clear: Nobel Prize laureates in Economics should not be honoured with the same kind of respect and recognition as the laureates in Physics. At times the honourable mention of the winners in economics is just like the distinction of the meritorious ones in literature. Is it right to assume that economics, as a social science, is retuning to its roots? It is the prevailing tendency that counts here. It is all about hyping up. Paul Krugman today’s most renowned economist in the world. He is practicing the extreme etatistic, or in fact anti capitalistic propaganda, and many people believe that the fact he was honoured with the Nobel Price proves he should be given credit for it. However, in truth whatever he preaches has very little to do with his achievements recognized by the Nobel Prize committee. While construing the governing body, as a rule I would rather refrain from appointing any economists, and especially professors educated in the political economy of socialism, since I had already known that it is worse than incompetence. The notion of ant capitalism is perpetuating in their heads. Even recently I read an interview with Stanisław Owsiak, a professor, sure thing, in Gazeta Wyborcza, which abounded in whole sequences of such anti capitalistic recitations! Firstly, in the subject of political economy of socialism by performance had been graded as only satisfactory [laughing]. Secondly, that was not the filed of my specialisation, as I chose to particularise in relatively the least political domain, namely the international economics. Thirdly, I studied in USA. And lastly, more than in economics, I was interested for quite some time in analytical philosophy: let me recommend “Pragmatic Logic” by Kazimierz Ajdukiewicz, and the theories of Karl Popper, the philosopher of science, etc. Surely, there was a time, two or three years since I graduated from university in Poland, when I used to think Keynesianism is a good resolution. Nevertheless, I hastily changed my mind, as soon I realised any of the countries in the world that practices such politics systematically has failed to succeed. Precisely, I believe it is a paradox that the ideals of John Maynard Keynes are being evoked only during the lean years, while in years of prosperity no one is concerned about saving money, which is exactly opposite to what Keynes used to urge people to do. “Whenever we face the problem of demand on the market, let us increase the expenses”. Those conceptions, however, which made any sense, were encumbered with an error of serious naivety in its political sense. It is worth recalling that in the 1980s Keynesianism was nothing more than a scientific corpus delicti. Yet it is very common phenomenon, as far as the social sciences are concerned, that some scientific researchers are still being mentioned and their ideas being quoted, even though all of their most fundamental concepts and prophecies are false, as is the case with Karl Marx and just John Maynard Keynes, to name but a few. If that is the case, how come we are experiencing such a renaissance of the economy of demand? “The Economist” is actually promoting the increase of the expenses even today, so are International Monetary Fund (IMF) and the World Bank. Are we experiencing any revolutionary change in our perception of economy? There might be a few causes for such a change. The wider audience, perhaps the more naïve one, supports the resolutions offered here, since all they hear are the narratives of some professors of economy stating that we cannot expect any change for the better unless we make an effort, and that all we need is more money. As far as the financial players are concerned, the majority of them offers only sort term solutions. The more money will be granted from Federal Reserve (FED – or Federal Reserve System) or by European Central Bank (ECB) and the higher price of stocks, the more we are expected to earn. Incidentally, such a scenario means that we will be faced with more inequalities, as those who are gaining the most will be the rich, rather than the poor. There are some analysts who, on one hand, make a pitiful attempt to condemn the increase of existing inequality, on the other hand, however, they support the politics, which is a direct cause of such an imbalance. I believe that media, especially the financial ones, are after sensation, and therefore they buy this theory of imminent catastrophe, which in fact can be avoided once we employ the strategies stimulating monetary supply, and please note this is just the analysis, and not the words of criticism. Unfortunately International Monetary Fund is to be equally blamed here. Sometimes all we need is the voice of only one man, yet very prominent and loud one, as was the case with Oliver Blanchard, the chief economist of International Monetary Fund, who was by the way a very good economist, and since the director of IMF was not an expert on the science of economics, the voice of Mr Blanchard happened to be very prominent and audible. Most obviously, all politicians like to hear, that they are not expected to do anything special, and all that matters here is the additional money supply. Do you estimate such a situation might emerge as a result of the fact that in the USA, after having FED printed large number of banknotes, we are observing an economical growth and decrease of the unemployment rate, while in Europe, where we operate within the frame of German austerity, such growth is not recognised? This presumption is one of the most common, yet false beliefs. Firstly, in the US the economic revival is much slower compared to previous instances of a similar nature, however FED has never been printing the money on such a massive scale before. Secondly, we have to bear in mind that in the US there exist certain conditions generating such economical growth that are not encountered in Europe, such as the revolution of the shale gas, better demographical determinants. Thirdly, as the majority of the difficulties have been encountered in the banking sector, we have to realise that such banking sector plays a minor part in the overall economy of the country, contrary to the situation in Europe, because the US established a different financial system, which tends to be more dependable on the situation on the financial markets. Nevertheless, aren’t we dealing here with a kind of particular malfunction of the monetary theory? There are no sings of inflation despite having FED printed a great amount of banknotes. When inflation is most likely to occur? I never claimed that the most detrimental and inevitable factor would be the eruption of the inflation- induced consumer prices, however such a scenario cannot be ruled out. There is, in fact, yet another kind of inflation, which demonstrates itself on the asset market. Therefore we cannot argue that the money did not find its market outlet where it was supposed to be found. In truth, none of the advocates of the ‘easy money’ claims that their main aim is to create financial bubbles; it has got more to do with the stimulation of the real life economy. And it turned out, which in fact did not came as a surprise to those involved in the subject matter, that indeed, the prices of equity securities are increasing, nevertheless, the overall economy is not doing so well, because the potential investments are hampered not by the lack of ‘cheap money’, but more likely by some other contributing factors, such as the insecurity evoked by the growth-inducing politics itself. Such economic politics de facto led to the nationalisation of the financial markets and made the participants on the market focus more on the activities of FED, rather than analysis of the factors contributing to the private economy. Therefore in that sense we are dealing with the process of nationalisation of these markets. No, it is not the matte of today, as the politics of ‘too big to fail’ has been already initiated 50 years ago. It began with the revival of the First Illinois Bank, and such politics of resuscitation set in and perpetuated ever since. And once it has consolidated, the expectations and activities of the financial markets have been substantially deformed, as it became rather obvious to the creditors that it is cheaper and more profitable to lend money to the big banks rather than small ones, as the big institutions are unlikely to fail. Such outcome can be perceived as a direct cause of a devouring growth of financial conglomerates. There are, however, some naïve, or perhaps doctrinal to the extreme anti capitalists who strongly believe that it is solely capitalism itself, rather than the interventions, to be blamed for the deformation of the market. What follows then, professor Balcerowicz, do you think that Lehman Brothers should have had collapsed? Or perhaps it would be too big of a damage to handle? There are some analyses penned by various authors, for instance John Taylor, clearly showing that the main cause of the subsidence was not only the case of Lehman Brothers itself, but there were many other contributory factors. We might get involved in endless discussion trying to establish these causes. Nevertheless, more importantly, we should ask ourselves a question how such institution as Lehman Brothers was brought into existence in the first place. How did that happen? In truth it was created by the intervention of the state. Therefore we cannot really describe the existing market as free, and we need to face the fact that what we are dealing with here is the oligarchic system of a kind, nederlandsegokken online casino in which the reach are reaching to those at the very top to attend to the matters of their interest. We cannot give credence to the model of the world presented in all variety of books on Wall Street and create our own statement based on such world model. None the less, I agree, it was the state’s interventionism that contributed towards the growth of financial conglomerates. And shortly after, even the decision-making governing bodies strongly opposing the conglomerates, are in fear of letting such companies going bankrupt, because they do not know what to expect next. By no means am I justifying anything, all I need to say is that the decision-makers in the USA were dealing with the results of previous interventions, which in turn forced the next instances of interventionism to follow. We are talking here about the most typical spiral of interventionism. Yet there is the whole bunch of anticapitalists trying to use the existence of the spiral as a proof depreciating the free market capitalism, but in this case we are dealing with anything but capitalism of that kind! In that case, you would refrain form equating bankers and politicians, even those leading FED, with the notion of capitalism as such? We have to realise that the sectional interventions of the state cause the deformity of the market performance. Nevertheless, it seems that greed, which constitutes an integral part of human nature, and which has been unarguably harnessed by capitalism and as if turned around to serve mankind, if relentless, can lead to bending the rules established to protect the interests of all of us. I am terribly sorry, but I am not following. These collapsing banks had been resuscitated using the public funds at the cost of future generations. 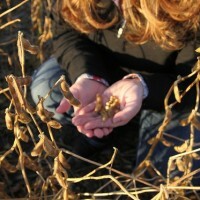 It is saving a few and sacrificing many. We have to be able to see the difference between the perception and the diagnosis of the causes. The latter clearly shows that the chain of previous interventions forced the following chain to follow. Do you think that chain can be broken, or the whole system will then collapse? I used to believe that we have to break those massive financial conglomerates, because they are not the creation of the free market economy, yet then I realised that such an approach is far to radical. Instead a different solution to the problem has been applied, namely the big financial institutions are being forced to establish a higher proportion of capital in relation to equity securities, which in a way should hamper the growth of these companies. Moreover, there have been many people working on projects establishing the mechanisms of bankruptcy of big financial companies already for quite some time, with the aim to alleviate the process of declaring insolvency. I am supporting it, but “the proof of the pudding is in the eating”. Let us see what will happen once it takes effect for the first time. Professor Balcerowicz, let us take these corporations into consideration, where the ownership of shareholders is dispersed, and where the management is motivated by the guaranteed quarterly bonuses. What do they have in common with the capitalism defined by Adam Smith, the capitalism, which we remember from 19th century, and finally the capitalism, in which it is the owner who bears the sole responsibility? Do you think that the supporters of the free market should be afraid of corporations? Interestingly enough, why is the fear of the corporations expressed so outwardly by some of us? In the meantime, if we dare to look around the world, it turns out that a lot more of our problems are caused by ever-expanding state with the capacity to intervene in economy than the corporations alone. It has to be borne in mind that as long as we enjoy the economic freedom in the global scale, or globalism, as it were, even the strongest corporations are meant to compete against one another. In the meantime, however, the mechanisms of competition operating in the state are weak, and the political competition is always worse than the economical competition. Therefore the corporations that participate in the competitive market are a lot less harmful than expanded states, especially in larger countries. Do you think we should implement a different strategy of striving for international monies to the policies in use for over a decade? How should we endeavour to obtain the global capital? Shall we continue to make an effort to maintain low prices, or perhaps we should implement some other mechanisms? It is an often-repeated myth that the low pay and low prices are the only life-blood of Poland’s economy. Otherwise, I believe that in a poor country at the beginning the pay is indeed expected to be rather low. It is the worst-case scenario, when the country is poor, yet the pay is being increased. In Poland we have experienced a gigantic technological transfer, which is the most important trigger for modernisation of the country on the acquis. You would need to be blind to overlook it and keep on chanting: “Only low pay, nothing else”. There are many people who will be unhesitatingly convinced that nothing is being done to improve the innovativeness until hear that we have implemented the governmental programme aiming at the improvement of innovativeness. What is the reason of any investments in Poland then? The judicial system here is an absolute nightmare, and potential investors would be exposed to lots of red tape and face a long wait for any permit they need. If it is not the low pay, what else is there to convince the investors to establish any business here? I believe we are not dealing with a lot of investment projects. It is not the case that investment capital is actually beating the path to our door. As far as the value of direct foreign investments in relation to Gross Domestic Product (GDP) is concerned, it appears to be lower than in Hungary or in Czech Republic. Also the value of domestic investments emerges to be too low, and it is not the case of the value of the investments funded by the foreign capital being too high. If we keep on going in that direction, the economic growth in Poland in the long-term perspective will suffer a discernible impediment. the state’s involvement in economic affairs will eventually enable Poland to go beyond the role of a humble subcontractor in this global capitalism, and point us in the right direction so that we can possibly travel the same path as the Four Asian Tigers did before? In the countries of South-East Asia (The Four Asian Tigers, or the Four Asian Dragons-the term referring to the highly free market and developed economies of Hong Kong, Singapore, South Korea, and Taiwan), the role of the state cannot be underestimated, as it played a vital part in supporting the innovativeness and protecting the internal market, to name but a few. Do you think, considering our own environment and economic conditions, that the state can play a similar role here as it did over there? Is it always the case that any instance of the state’s interference into the economy is bound to have a detrimental impact on the country’s development? Any reasonable discussion should always be supported by relevant experience. Believing that all these economic miracles that had happened in South East Asia were resulting from the state’s special intervention only, is nothing but creation of myths. I used to be involved in these analytical observations, and what is the outcome? In South Korea, indeed, there were some periods of time when the state was deeply involved in the affairs of the country. There are some analyses, however, showing very clearly that such interference was not beneficial for the country. In Taiwan and Hong Kong, however, the instances of this interference occurred on a much smaller scale. What these countries had in common? It was the extraordinary accumulation of fundamental conditions guaranteeing development. Firstly, these countries needed to open to export businesses, which resulted in immediate necessity to face the competition on the massive international market, and that in turn had a disciplining effect on the economies of both of the ‘Tigers’. Secondly, there was a prevalence of an unequivocal advantage of private enterprises. Thirdly, these countries managed to impose limits on welfare spending, and they hence needed to start from a rather low level of social benefits, and that in turn allowed the decrease of taxation. Fourthly, and lastly, they succeeded in establishing a decent public administration. Undoubtedly, the establishment of these foundations was a concerted effort of both of these countries, and these underpinnings became the provenance of this extraordinary economic growth. Similarly, another myth has been created about Japan, stating that it was a series of unique state’s interventions that lies behind the economic success of the country, that it was the omniscient Ministry of Economy, Trade and Industry (METI) that guaranteed the miraculous economic growth. There exist, however, a bulk of empirical research that proves to the contrary, as there were instances when METI managed to force some regulations through and did not succeed, and also occurrences, when the investors did not follow their advice and still made an achievement. For instance, it was METI that claimed that Japan does not stand a chance of accomplishment as far as cars and consumer electronic goods were concerned… I do not think that we need any particular or detailed programme of interventionism, like those introduced and then implemented by Peter I, or Vladimir Putin. Currently in Poland the rate of private investments barely exceeds 10%, and with such a low indication any dynamic development is rather highly unlikely to occur. Hence there must be some factors, some barriers that prevent these investments from taking place. Let us ask ourselves a question, why these investments are so important? It is not just about the road repairs, etc. It is all about innovations, as they are inseparably connected with the majority of potential investments. Why there are no innovations in Poland? There are, yet very scarce, and what is more, the majority of them, quite naturally, is connected with the transfer of technology. I believe that, in case such a low rate of private investments is maintained, we would need to start applying the brakes. Let us investigate further: why are we experiencing the loss of speed as far as the improvement of productivity is concerned? We cannot tell exactly, yet Civil Development Forum Foundation (FOR) is investigating the matter. 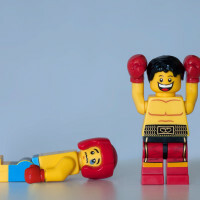 It is common knowledge that the competition will not occur on the large scale in some domains, and that some private enterprises realise it does not pay of to develop, because the grey market appears to be too big and some companies do not hesitate to use workforce, which is employed illegally. It is nothing but dumping. I do agree with you on that. Moving on to the next issue, which I am not quite certain of how great importance it might be, is the lack of any reforms of public universities. How can we define the ambitions of the deans? All that matters is to erect a new massive building, and what actually happens within its walls appears to be of much lesser importance. The mechanism of competition does not seem to apply to public universities. In the USA, however, the universities in fact compete with one another to win students, whereas in Poland that does not seem to be necessary, as each university is being granted an allocation of funds for full time students, and as a result, there is no need to seek for better academic teachers. I suppose Polish universities might lack not only possibilities, but also a will to make an offer of a better salary to better academics. And that is undoubtedly a hampering factor, but again I cannot tell yet its importance. In other words, there are a few things to be done; yet it does not come down to introduction of some totally new forms of the state’s interventions, but mainly to new reforms and clearing out the malfunctioning forms of such intervention. Sadly, Polish people did not succeed in establishing a well functioning state. Is it the low social capital, among other contributing factors, to be blamed for it? To be honest, there are so many unclear statements on the issue of the social capital that I would rather refrain from answering that question. Besides, I can smell some notes of social determinism in this query, some kind of excuse, like: “Because polish people had been waiting for their own autonomic state for so long, their attitude towards it tends to be inappropriate, and therefore they struggle even more.” Firstly, I highly doubt that this is the most important aspect of the subject matter. Secondly, we have, in fact, managed to establish a few pronounced institutions, such as the National Bank of Poland )NBP=, or Polish Financial Supervision Authority (KNF), both of which were built from scratch! I would describe them as mostly competent and reliable. Even the State Electoral Commission was one of those impressive achievements, until its recent ill fortune. There are also many impressive local governments, for some reason inaccurately termed self-governments. Surely, the list of such examples is quite long. Besides, according to the research, there has been an improvement noted in the manner that bureaucrats are dealing with investors. Therefore we have got a proof that there is some progress. If we push a little bit harder, the progress will be even more palpable. You mentioned local governments. You can recognise some king of a rebirth through the existence of urban movements. What is your opinion on this? I believe my knowledge on the subject matter is insufficient, therefore no comment. Let me try again. We are observing a certain trend involving contemporary towns people, namely the middle class living in big cities, and realise that their ambitions currently involve the improvement of the quality of life in their nearest surroundings, e.g. the concerns whether there are any cycling routes nearby, or whether there are any green spaces around… How do you, as a public person immediately associated with tough liberalism, relate to these discoveries? Regardless of what I am immediately associated with, I know that liberalism means free market and free society. I promote the idea of the state with rather little capacity to intervene, so that there is enough space for free market and civil society. I have always been supportive of both of them. Would you absolutely exclude the possibility of an alliance with those who are planning to fund the civil budget with 1% of the municipal expenses? I have not formed any opinion on the subject, as of yet, nevertheless I am tempted to give it a look of approval. I would be, however, rather apprehensive towards those very aggressive and monothematic groups, which at times tend to dominate in the discussions, often against the objection of other significant formations. Some people live to perceive themselves as the victims of the system. Similarly, cyclists persecuted by drivers might want to consider themselves to be such victims of the system. Meanwhile I believe that we need to learn to practice moderation. This is but a preliminary observation though. I would like to elaborate on a different subject matter. Firstly, I have an impression that putting limitations on the length of term of office in regards to all governing authorities is a lot more important than single-member constituencies in electoral districts, with the latter being often unreasonably deified… They are one of the committees for election to the Senate, and, needless to say, we know very well what can be expected of them. Two massive political parties are the constituents of single-member constituencies. Yes…, and now let us imagine what would have happened if there had been a system created as a result of abiding by the regulations imposed by such electoral system. Secondly, we have to decide what needs to be done to separate the local media from local authorities, so that they both can function separately. It is an essential condition that we keep a watchful eye on the authorities. 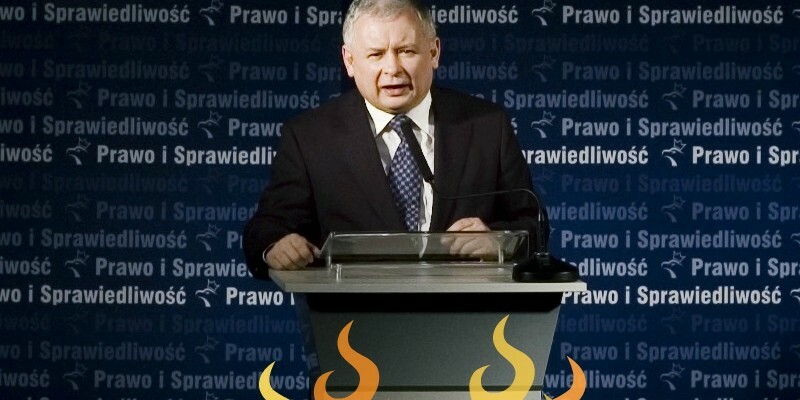 Do you support the statement that in Poland, in case of a dispute, the state tends to favor the more dominant and capable side, and chooses to represent the influential groups of interest against those less capable? It happens not only in Poland, but also in many other countries where the political populism prevails. …and these groups are not necessarily representing the poorer. Miners cannot be classified as the most impoverished in terms of social status. But the unemployed do not have their own party. Let us bring back the issue of meeting the demands of miners and restoring their retirement benefits. All they needed to do was to show up in front of the building of Parliament, and the majority of Polish MPs voted in favour of the miners and the matter was decided. Therefore we have to implement some devices to countermeasure, which should consist in helping the disadvantaged to organise themselves and in showing well in advance what might be the costs of surrendering to the more powerful. Once politicians, who naturally tend to carefully calculate their own political interest, acknowledge such observation, they will realise that any form of submission might have grave consequences. Your public image and public role is mostly defined by opposing the groups of interest. Even if somebody came up with a serious proposal of the left-wing politics, which would be focusing mainly on the interests of the poor, these groups of interest would need to be dismantled in the first place. Hence in your crusade against these groups of interest you might choose to become allies with the left-wing politicians. 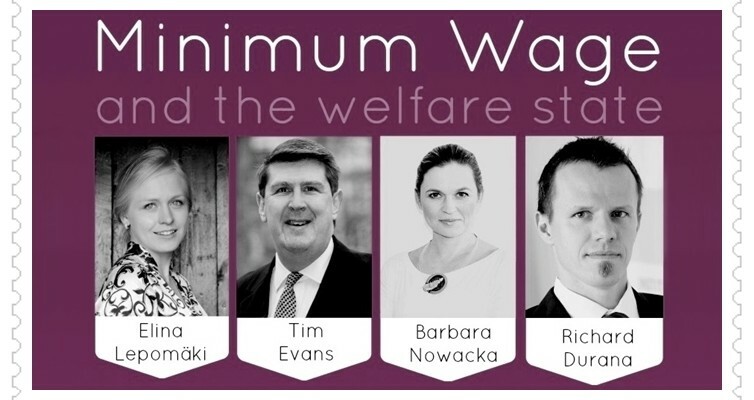 Do you actually believe, professor Balcerowicz, it is possible to convince the public opinion that placing curbs on these groups and limiting their privileges lies in best interest of all of us as Polish nation, including the unemployed, the poor, and those from small cities? of interest will start losing even more. And we must not forget about the organisational aspects. À propos the costs, would you agree that the liberal state should lend a helping hand to the poor, the excluded, to the people born in small towns, people born to the parents with very poor education; there are also the unemployed… Generally speaking, whether the state should help those who are at a disadvantage in comparison to those who are well off? Firstly, we have to asses to what extend the unemployment can be seen as a direct cause of malfunctioning interventions. Instead of fighting the symptoms, we need to establish the very essence of the problem. These are the prerogatives for a start. What do you suggest we should do to help those at a disadvantage? I highly doubt that confiscating the assets of the rich towards the end of their lives is the best solution to the problem. So the inheritance tax is to be ruled out? Once those small schools disappear from the surrounding areas, would that mean that the state will be obliged to provide the students with scholarship, so that they still can receive education in larger institutions? It is up to the parents to drive their children to school, and that is exactly the solution to the problem in the USA! These are very simple things. Yet as far as the teachers are concerned… In Poland the promotion of teachers does not depend on their performance, but appears to be more of a matter of pure formality. Given that the quality of education depends on the teacher, we should make an effort to promote good teachers, and then encourage them to take teaching posts in those areas where the level of education was until then less than satisfactory. Moving on, in reality it does not always happen that in every region of a moderately big country there exist equally favourable circumstances for the development of entrepreneurship. It is rather unpredictable to determine the success in that matter, what is proven by the economic geography. Therefore we should not try to maintain the equal rate of an average income in various regions, regardless of the level of education. In such instance the concern of giving people equal opportunities is related to the phenomenon of internal migration. If it happens, for whatever reason, that will not possible to develop any entrepreneurial activity in expected direction in one place, we should create favourable circumstances for them to establish their businesses somewhere else. What would be those favourable circumstances? These would include accommodation for rent instead of owned properties! And here we encounter some complications, as the legislation on rented properties is blocking any private investments. You have mentioned the introduction of the wealth tax, yet perhaps there is a different, more reasonable solution: instead of the taxation of labour, which is already taxed on the level of luxury goods, why not introducing an ad valorem tax? The difference between different kinds of taxes is a different level of harmfulness. They are all harmful, yet some even more that the others. The most destructive are those taxes that impose limitations on the employment. Even though an ad valorem tax seems to be a better option, we would need to face the problem of the groups of interest once again. In order to effectuate any reform, and you know it best, we need a certain narration, so that people can have faith in it. We succeeded in delivering such a narration in early 1990s. I rather doubt that all of those gigantic, revolutionary transformations would have been possible without it. What kind of an idea would you suggest as an inspiration to those willing to contribute to Poland’s transformation and development? If I were to contain all of my beliefs in one slogan, I would suggest: the interventionism of the state is immoral and ineffective; the free market and civil society functioning within the framework of the state’s concept as a rule of law are believed to be a much better solution. This is not a ready-made slogan, yet it could be created with these constituents serving as a base. I believe we should recall everything that some different right wing and left wing etatists take credit for, namely the attitude of a high moral ground. They are devoid of any high moral ground; moreover, they are immoral themselves, because the cure they offer is worse than disease. Otherwise our politics will get worse and worse, and our economy will be free floating. Either they did not learn anything, because they never wanted to, or they are just cynical. Such an attitude is damaging and therefore it has to be exposed. The process of unmasking social and national etatists is an extremely vital part of our mission to improve our political system. And it has to be a ceaseless offensive. One has to fight! 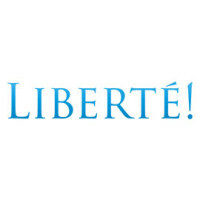 The article was originally published in Polish in the XXth issue of Liberté! This entry was posted in Economy and tagged captitalism, economics, economy, etatism, featured, interview, Leszek Balcerowicz, Liberte!, New Deal, Poland, politics. Bookmark the permalink. Polish economist, professor at the Warsaw School of Economics, MBA graduate of St. John`s University in New York, author of the economic reforms in the post-communist Poland after 1989, Deputy Prime Minister and Minister of Finance in the first non-communist government of Poland after the World War II, President of the National Bank of Poland (2001-2007), laureate of over 20 honorary doctorates from universities all around the world; author of more than 100 publications on economic topics issued in Poland and abroad, laureate of many prestigious Polish and international prizes and distinctions. In 2005 Leszek Balcerowicz was awarded the Order of the White Eagle – Poland’s highest distinction for his contribution in the economic and political transformation in Poland. 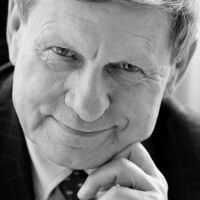 In 2007 Leszek Balcerowicz founded The Civil Development Forum Foundation – FOR, think tank based in Warsaw. Since then he has been serving as the Board Chairman. In May 2014, in New York, Leszek Balcerowicz received one of the most internationally renowned merit Milton Friedman Prize for Advancing Liberty, granted by CATO Institute.